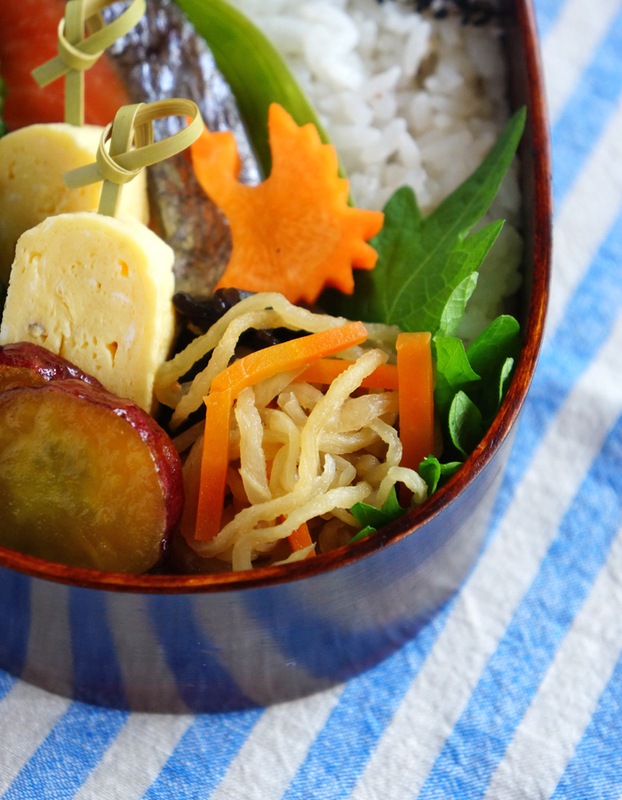 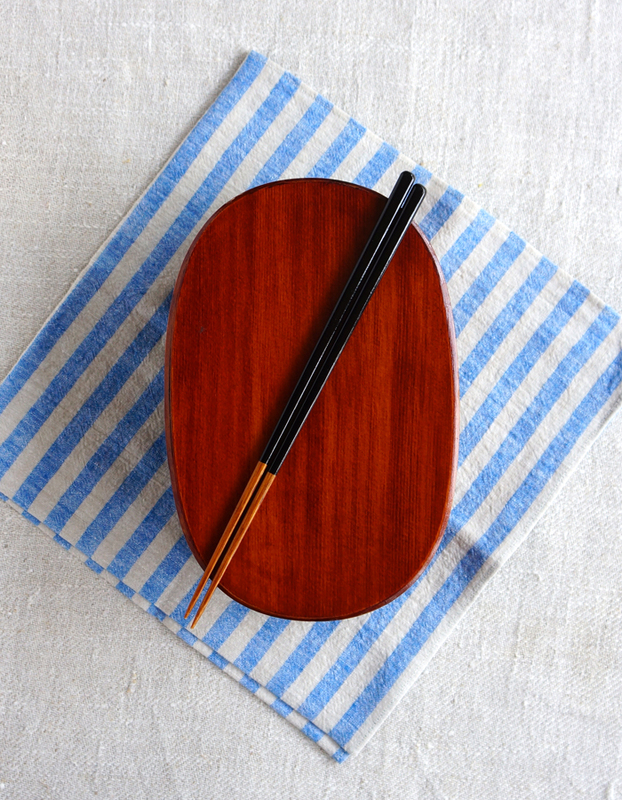 Maple-glazed sweet potato is one of my favorite bento dishes. 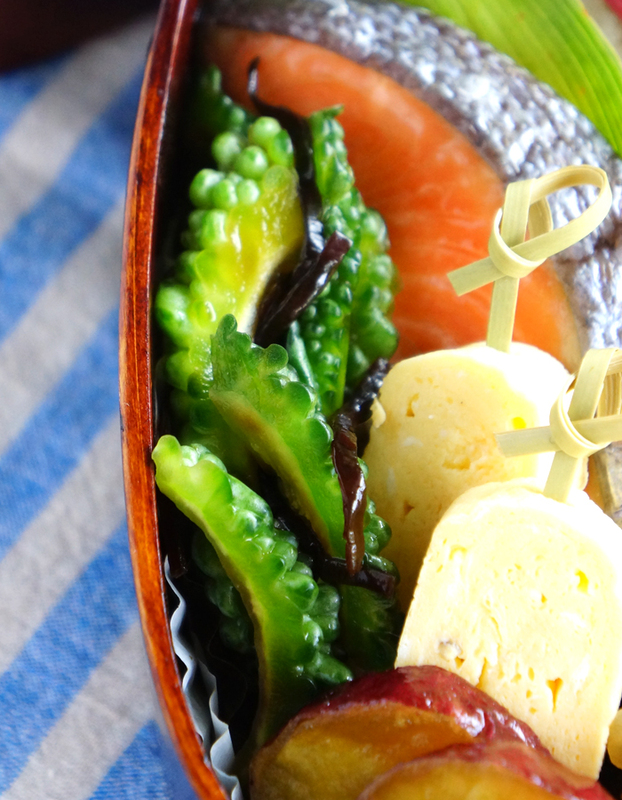 It is very simple, beautiful and rich with the flavor of maple syrup and butter. 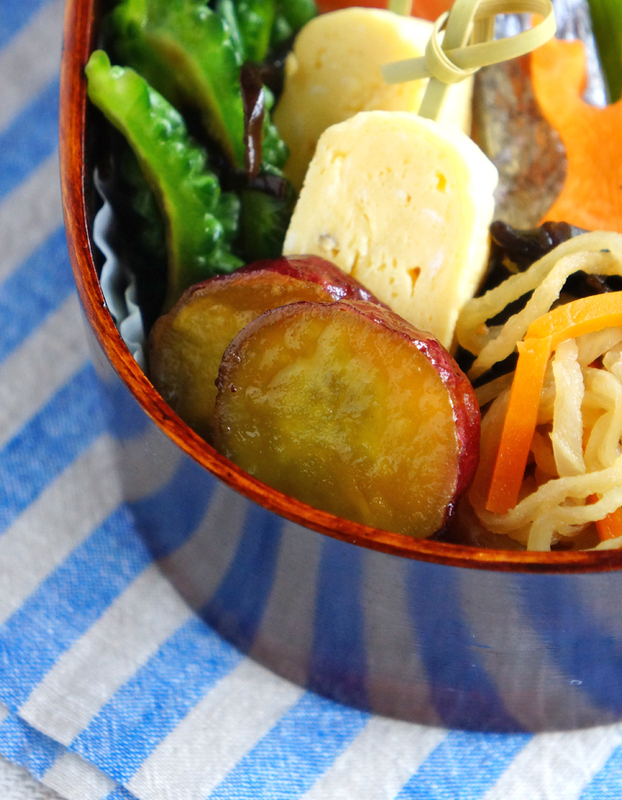 Amber or dark maple syrup has a stronger flavor than light one, so I recommend that you try to use dark syrup in this recipe. 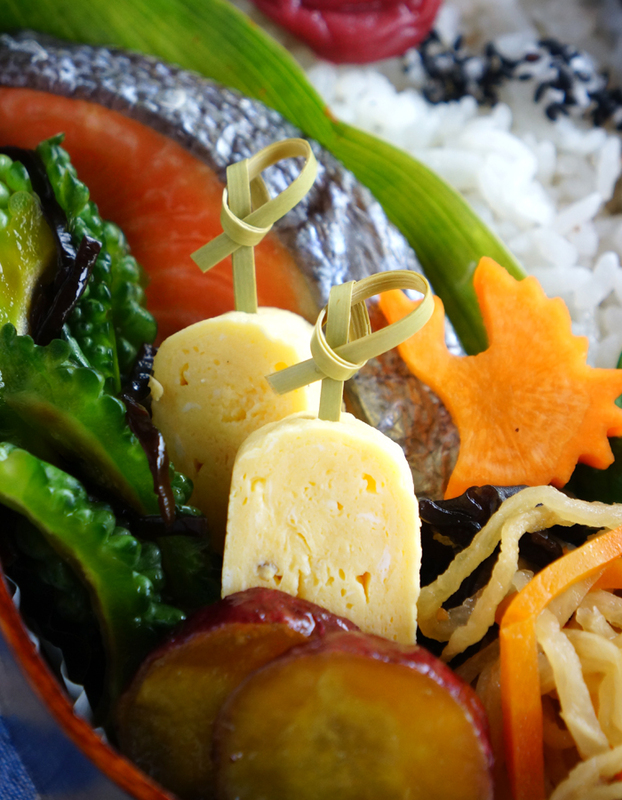 The ingredients are, sweet potato, cut into bite-sized pieces, butter and maple syrup. 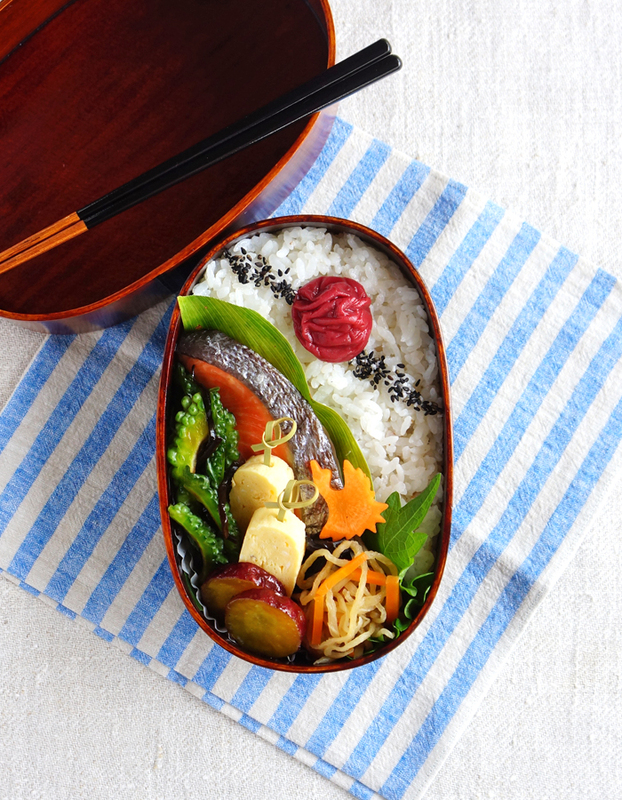 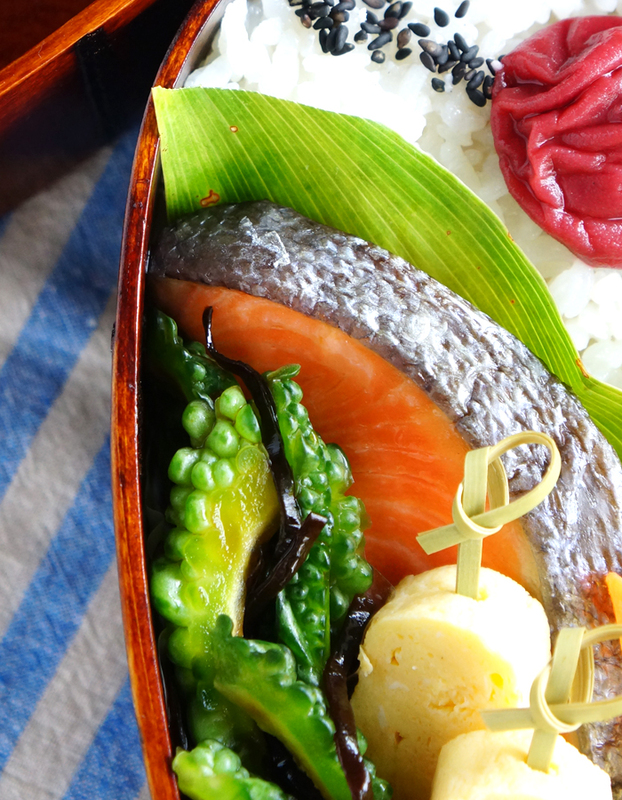 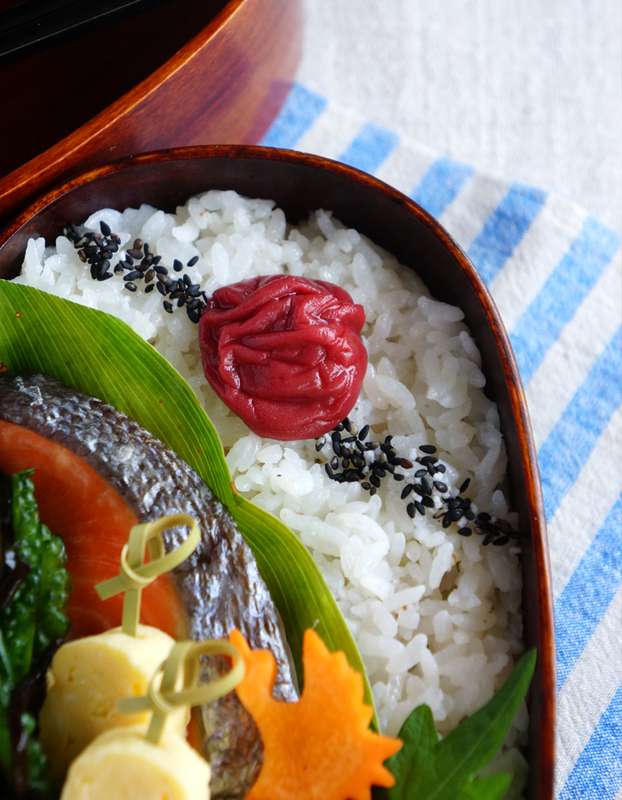 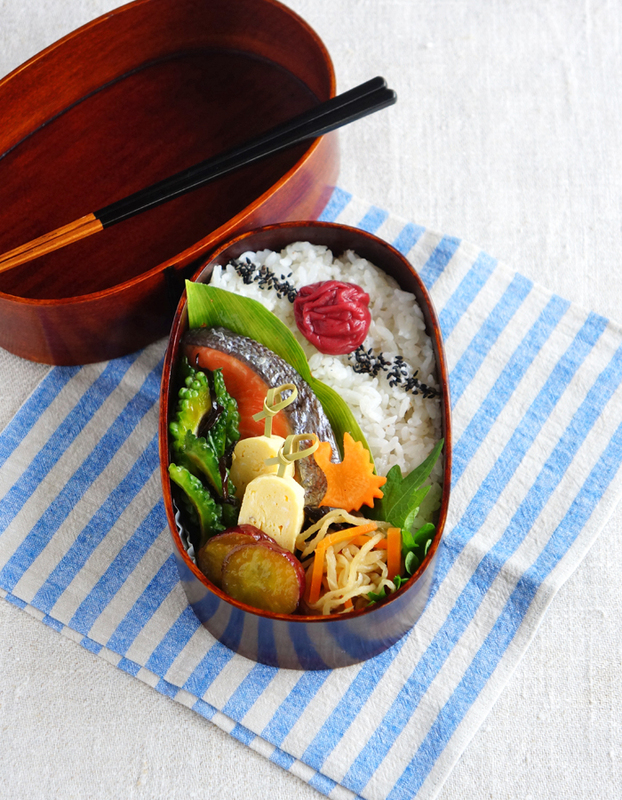 The bird-shaped carrot is added as a garnish that makes my bento presentation a little bit special.